Things are looking up if you hope to add new character to a room. You can easily bring visual interest by texturing your ceilings, where DIY options abound. It all too easy to slap a coat of white paint on your ceiling and consider it done. But to really pull a room together, it ought to be stylishly topped off—and putting a textured effect on the ceiling is a great way to add impact to your décor. Another plus? 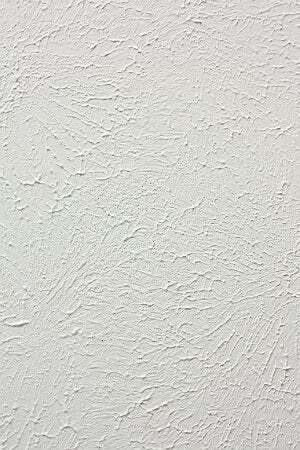 Textured ceilings perfectly camouflage imperfections like cracks or evidence of water damage. There are a variety of techniques you can employ to create your texture of choice (way beyond the “popcorn” look popular in the 1970s). All it takes is a mixture of paint and drywall mud—and a little ingenuity. Read on for simple step-by-step guidance to texturing your ceiling, your way, without sending your budget through the roof. Since you’ll be working against gravity, you’ll want to protect your furniture, floors, and fixtures from splatters. Empty the room as much as possible, which will also give you space to move around. Cover remaining pieces of furniture and the entire floor with drop cloths. Next, take off any faceplates, vent covers, ceiling fans, and/or light fixtures. Finally, apply painter’s tape around the edges of the ceiling, right where it meets the wall, being careful to keep it stick-straight all the way across. 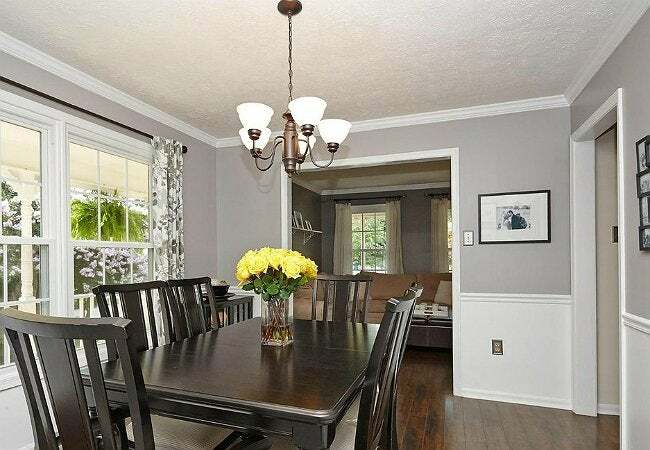 You might think that because textured paint is part drywall mud it will adhere to any surface, but for a quality job, you still want to prime first. This step will make application easier and give lasting results. Choose a primer close to the color you’ll be using to texture your ceiling—a dark primer for dark paint and a light primer for light paint. Cover the entire surface in a thin, consistent layer and let dry fully (consult the can’s drying time guidelines) before moving on. Prep your product. If you’re looking for a subtle texture, you’ll get good results with pre-mixed textured paint. But if you’re aiming for more depth or special effects, mix your own by combining paint with drywall mud. The standard rule of thumb is one part drywall mud to 10 parts paint. Pour paint into a bucket, add drywall mud, and blend, aiming for the consistency of pancake or biscuit batter. Depending on the look you’re going for, you might want a somewhat thicker consistency. Do a small batch first to practice getting it just right. It’s always wise to start in the least noticeable part of the ceiling when applying the texture—perhaps the darkest corner of the room, or the edge of the ceiling closest to the door. Position your ladder there and make sure you can work from a reasonable angle without arching backwards. The exact technique (and subsequent tools you’ll need) depends on your desired effect.